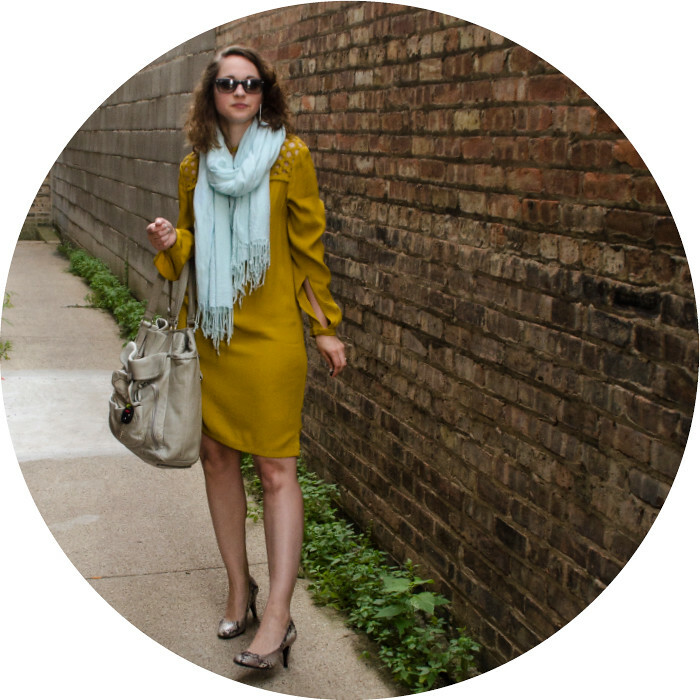 creative: mustard and mint! together! oh wait, i've done this before. young: this dress has a lattice pattern at the top which makes it pretty fun, but definitely in need of a layer to make it appropriate for work. the loose fit and long(ish) length help tone it down too. professional: mid-height heels and a coordinating giant leather bag. done.